Patrick Lee reinvented and revitalized the contemporary thriller with his extraordinary debut The Breach (“Audacious and terrifying” —Lee Child). 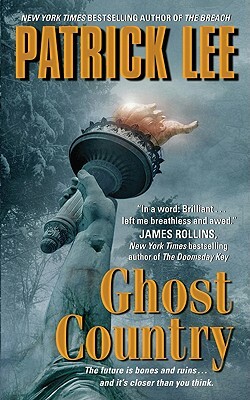 Now his conflicted ex-cop/ex-con hero Travis Chase is back in the breathtaking follow-up Ghost Country. Both Michael Crichton and Dean Koontz fans, X-Files aficionados and devotees of FOX TV’s Fringe, will be blown away by Lee’s Ghost Country—a nightmarish tale of a nefarious plot unleashed at the highest levels of government that will bring about the end of everything in a matter of a few short months.